There are dozens of stock market games out in the market today so it can be hard to find the best one for what you need. Individual should practice buying and selling stocks before risking their own money. There are several stock games you can than a teacher using it as part of a personal finance class. That’s why we did the legwork. We love stock games. We try out new ones every month to find the best one for each type of trader. Also includes cryptos, options and futures if you want them.$649 per year. Worth every penny because of the extra curriculum and no ads.Real-time prices. Splits and dividends are reported. Rank Game Features Cost How Accurate? 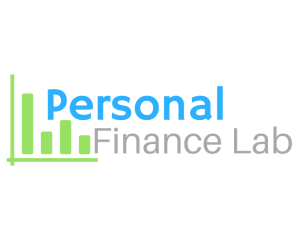 PersonalFinanceLab.com The Best Stock Game for High Schools! Teachers customize both a stock game for their class and built-in lessons. Real-time trading of U.S. stocks and real-time portfolio updates and class rankings. Over 300 built-in lessons aligned to Personal Finance, Business and Economics standards. Live Support for teachers and students. Also includes cryptos, options and futures if you want them. HowTheMarketWorks.com US stocks, ETFs, and mutual funds are included. 40 built-in lessons. Live customer support for Teachers. Integrated tutorials for teachers and students. Free. Supported by ads. Real-time prices. Splits and dividends are reported. International stocks, ETFs, and currencies. 30 built-in lessons. Integrated tutorials for students. Free. Supported by ads. Real-time stock market game with real time prices for US stocks. Splits and dividends are reported. Marketwatch US stocks and mutual funds. No customer support. Free, heavy ads. Prices had 15 minute delay. Dividends were not accounted for. StockTrak.com International stocks, ETFs, options, futures, future options, forex, cryptocurrencies, built-in lessons, extensive reports, professor resource center, class project ideas, career center with internship postings. $27 per student. Lower with textbook code. Real-time prices. All splits and dividends were reported. US stocks, options, and cryptocurrencies. Some built-in lessons for a fee. Free. Supported by ads. Real-time prices. Splits and dividends were reported. US stocks. All other features behind a paywall. Free. Supported by ads. Constant pushes to buy premium features. Prices had 15 minute delay. Some (but not all) dividends were reported. Marketwatch US stocks and mutual funds. No customer support. Free. Heavy adss Prices had 15 minute delay. No dividends were reported. US stocks, options, and cryptocurrencies. Built-in courses. Free. Supported by ads. Some lessons have a fee. Real-time prices. Splits and dividends were reported. International stocks, ETFs, options, futures, future options, forex, cryptocurrencies. Built-in lessons. Exportable portfolio reports. Built-in investing course. $16.95 per month Real-time prices. Splits and dividends were reported. US stocks, ETFs, and mutual funds. About 40 built-in lessons. Live customer support. Integrated tutorials. Free. Supported by ads. Real-time prices. Splits and dividends were reported. US stocks. All other features behind a paywall. Free. Supported by ads. Constant pushes to buy premium features. Prices had 15 minute delay. Some (but not all) my dividends were reported. Marketwatch US stocks and mutual funds. No customer support. Free. Heavy ads. Prices had 15 minute delay. No dividends were reported. What Makes the Best Stock Market Simulator? Plenty of “Getting Started” resources for newbies. Real-time prices allowed me to know that my contest rankings were legitimate. Excellent support team. Answered both my general and technical questions. We tested dozens of free stock games every month. We are also looking to find games that rolled out new features and updates quicker. P.S. if you are ready to trade real money, I suggest you read Wall Street Survivor’s Motley Fool Review and get some top stock picks. How easy is it to get a stock game up and running for a class? Can teacher see reports detailing student progress? How much educational content is available? Does the game cater to a younger audience? Does the game offer webinars, lesson plans, or other school-specific resources? Are they COPPA and ADA compliant? Are you are looking for a stock game for your own use? The main concern is usually how easy it is to get started. Another typical issue is if the game will keep you engaged. Many new traders open up their virtual portfolio, place one or two trades, and completely forget about the game. These simulators are just not engaging! Embedded investing news to keep us updated on our portfolio. Public contests where we have the chance to win cash or prizes. Educational content that we can use to build our investing acumen.